The Blackwater Rail Trail broadly follows the route of the Maldon to Witham former track bed. Braintree was one of the towns served by the port of Maldon and work to construct a railway line between the towns started in March 1847 with a workforce of up to 1,000 men. Maldon station was renamed Maldon East in 1889 with the suffix “and Heybridge” added in 1907. Other stations were built at Langford and Wickham (later Wickham Bishops). 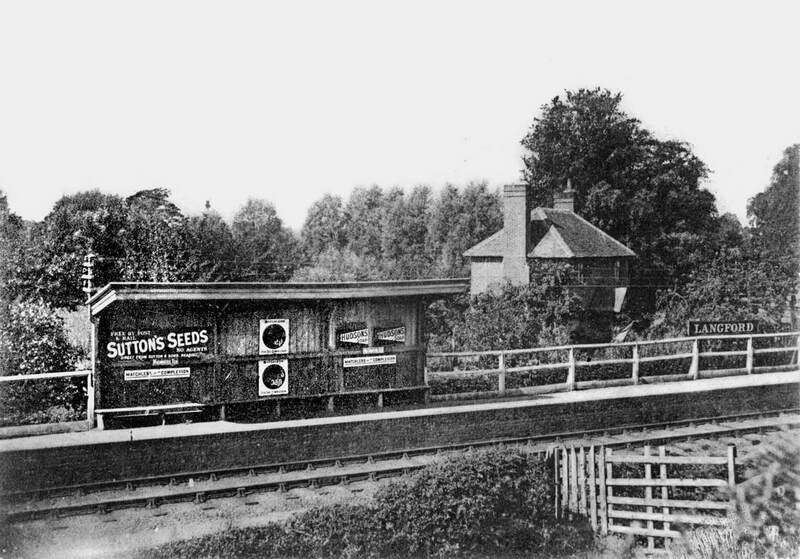 Maldon West station was built in 1889 and the line extended to Woodham Ferrers with stations built at Barons Lane, Cold Norton and Stow St Mary, allowing Maldon to be linked to the newly built London to Southend line. During the Second World War, passenger services between Maldon West and Woodham Ferrers were withdrawn as an economy measure and never re-instated. The goods yard at Maldon West closed in 1959. By the mid-1950s, steam was being phased out and replaced by two-coach diesel trains. German built rail buses operated between Maldon and Witham from 1958 to 1964. The Beeching report of 1962 recommended closure of the whole line between Braintree and Maldon. 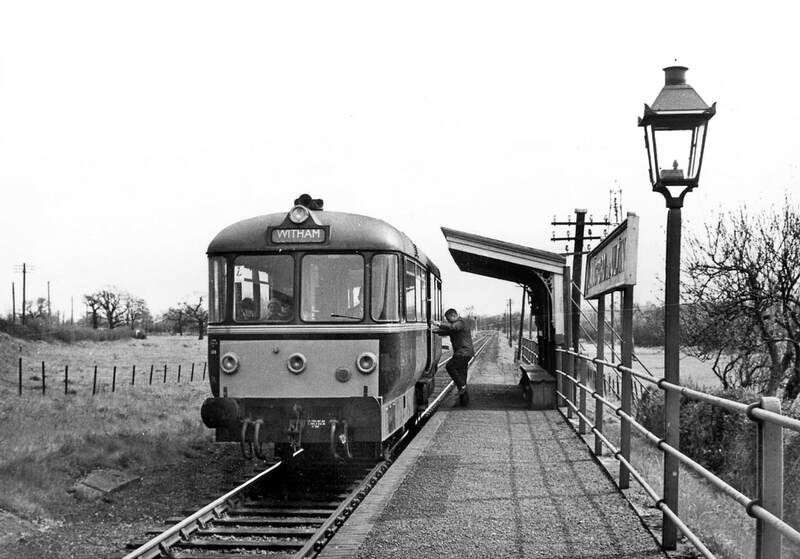 Although the campaign to retain the Braintree to Witham service was successful, the Witham to Maldon section was not and the last passenger train left Maldon on 6 September 1964. Freight-only trains continued until April 1966 and the track was removed in 1969. Following closure of the line, the section of track into Maldon East station was used for a road into the Fullbridge area and the section linking Maldon East and Maldon West became the route of the Maldon bypass. Most of the old Maldon to Witham track bed was purchased by Essex County Council and opened as the Blackwater Rail Trail country walk. From Witham, the trail runs alongside Benton Hall Golf Club and passes through the villages of Wickham Bishops and Langford with views of the Rivers Blackwater and Chelmer. From Langford Halt, the footpath continues towards Heybridge, ending at Elms Farm Country Park which was built in the 1990s, with links to the footpath alongside the Chelmer and Blackwater Navigation. Langford station was opened in 1848 and served the village of Langford. 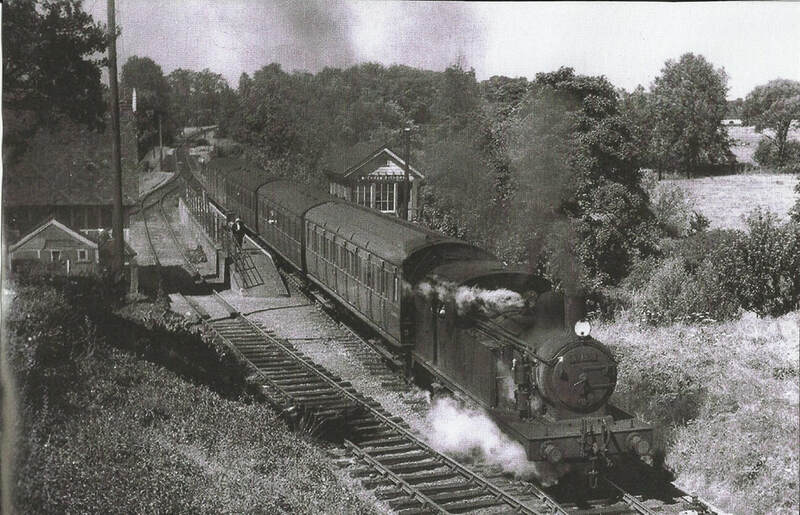 Facilities at the Halt were basic with a canopy over a bench seat and two oil lamps. Originally built with two tracks alongside the platform, one track was removed between 1854-56 due to the poor performance of the branch line. A signal box was built opposite the platform in the late 19th century. It was short lived, however, and had been closed and demolished by 1922. 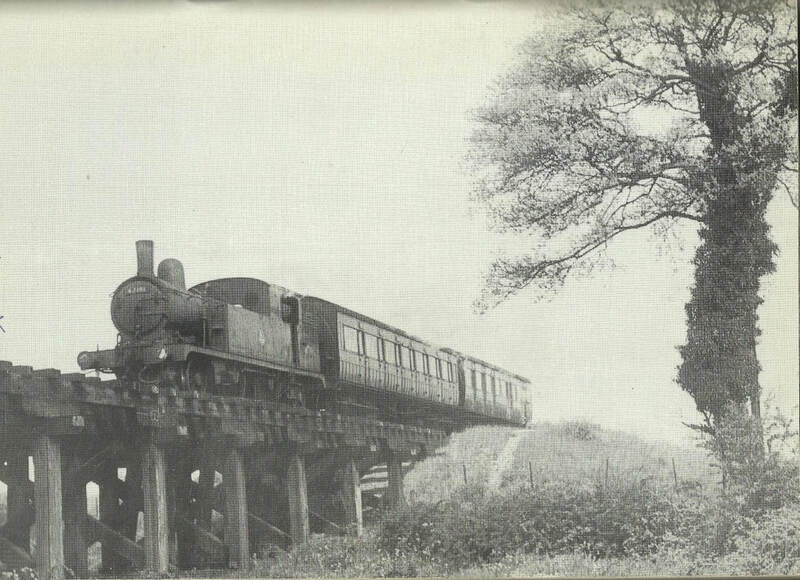 Photo of Langford Halt (without the "and Ulting") from the book "Lost Railways of Essex" by Robin Jones and displayed with the permission of publisher Countryside Books. 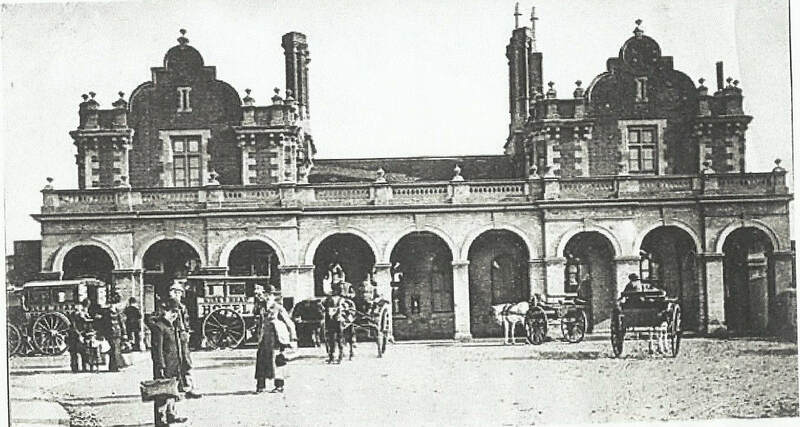 ​The station was re-named Langford and Ulting in 1923. Langford was one of the first stations in the country to have had a station mistress around the turn of the 20th century who would have lived in the Station House. The house predates the railway, having been built around 1840. Branch Lines to Maldon by Dennis L Swindale, EARM Publications, 2007, ISBN 0 95064737 3.